Still, in order to succeed in your floor refinishing endeavor there are some details you need to have in mind. This is why, I've created this page. 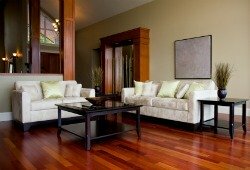 To help you, the homeowner, find answers to all the hardwood floor refinishing questions you might have. There are many myths about floor sanding. Some Chicago floor refinishing contractors will lie their way into getting a project. This is why understanding the differences between floor sanding myths, fact and outright lies is essential for the succes of your hardwood sanding project. Understanding floor finishes is critical in the development of your Chicago floor refinishing project. Are you going to choose a swedish finish, a water based finish or the well known polyurethane floor finish? Which one is best and what are the main differences between them? Under the three links above you will find just the answers to these type of questions. Yes, just like with everything else, in the floor sanding business there are certain steps the flooring contractor would like to skip. Because they're time consuming and because, as far as he's concerned, what you don't know won't hurt you. 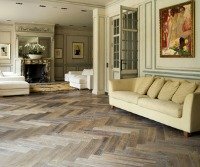 Still, if you want your Chicago floor refinishing project to be a success, you wanna make sure that he will not miss any of these floor refinishing steps. So, is there a truly green floor finish available on the market? 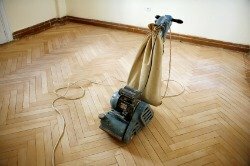 Is there a way to refinish your floor without all the bad smelling, harmful fumes? Finally, after many, many years, we can answer yes to this question as well. The Monocoat floor finish, the only real green floor refinishing product Ii am aware of, does just that. Please click here for more details about the Monocoat floor finish. Daniel was very patient in explaining the different options we had for installing wood floors in our condo. He worked with our building management, did everything he could to accommodate us, as well as the neighbors… I can’t think of anybody else that could’ve done a better job than him. If you need a flooring contractor, stop looking. Daniel will go above and beyond to meet your needs. Go to Floor Refinishing Chicago top of the page. Wow! The walnut border installed by Flooring Innovations is gorgeous. I can’t wait to have a party and show it to all my friends. 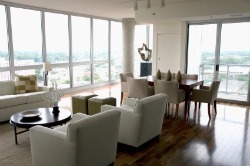 Octavian, you definitely enhanced the look of our home, as promised.